Dusit Palace – An architectural beauty! 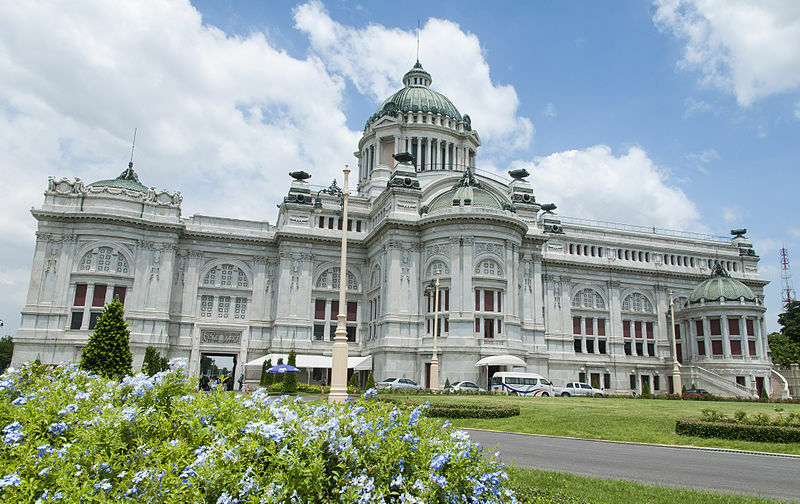 King Rama V, after his tour in Europe was inspired by the colonial architecture. His mind was set in creating a mater piece where the rich Thai culture would be intertwined with colonial architecture to give birth to what is now known as Dusit Palace Park. The hexagonal shaped building is a wonderful piece of woodwork! The most amazing thing about the mansion is that not a single nail has been used in its construction! Mind-blowing isn’t it? Vimanmek Palace is also recognized as the world’s largest teak building with a total of 80 rooms and halls. The mansion that was once the royal residence was converted into a museum by Her Majesty the Queen in the 1980s. If you were pondering about what the clothes of the ancient royals might have been made of, well hop into the Ancient Cloth Museum. This is where the delicately produced silk and cotton cloth used for royal clothing are on display. This is a museum solely dedicated to the elephants as this is the national animal of Thailand. The displays tell stories about the role of elephants in ancient times and why they are a significant part of Thai culture. The architecture here is from the Rattanakosin era. There are many service apartments in Bangkok that are situated nearby, Adelphi Forty-Nine for example. So, if you happen to be staying in one of them stop by at Dusit Palace park for a visit. Previous Post The Amazing Sri Lanka – A land of wonders!